I have tried the Sebum Control Gel from Aroma Essentials and am ready to post my review. Basically I have never tried anything sort of gel to control my sebum secretion in the past. I always used facewash to control my oily skin other than CTM. I usually don't use facewashes meant for oily skin as they tend to dry up the skin in hope of controlling the oil secretion. Let's see the detailed review of the product. Firstly after hearing the word gel it feels quite heavy in nature. But this gel is very, very lightweight. I used it on my acne scars and dry skin around my nose at night for 8 days after washing my face. The product comes in a tub packaging which is quite travel friendly. 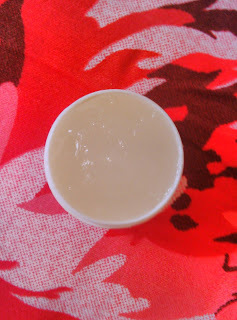 The gel is transparent in colour, lightweight in nature and has mild nostalgic fragrance. The consistency of gel is perfect and is neither runny nor thick. 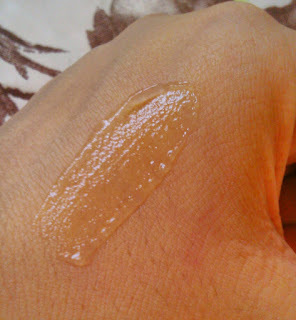 It gets absorbed in skin easily. It spreads quite easily on skin and doesn't leave greasy residue. If applied in excess it makes skin feel a little stretchy. The same feeling when we apply aloevera gel on our face. The fragrance fades away after a while. Now coming to the effects, in the morning my skin didn't feel oily at all and felt fresh. It hasn't shown much improvement on the scars and blemishes. But then I am not worried on this point as it doesn't claim to lighten the skin tone. 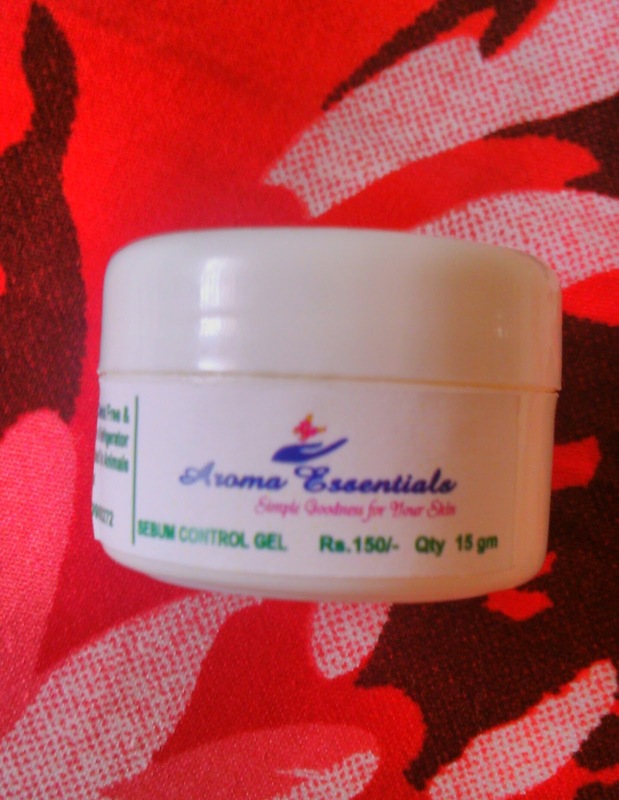 All you feel after using this gel is your skin feels fresh after each use. The product controls the oil secretion (though it doesnt claim to do so) and gives fresh feel and look to the skin. The gel is quite light weight in nature. It doesnt leave greasy residue behind and the consistency is perfect. The only complaint I have is packaging. Would love to have in tube or pump packaging. I would definitely recommend this product for all oily and combination skinned beauties! Repurchase- Maybe not as I don't use much of oil control gels and facewashes! 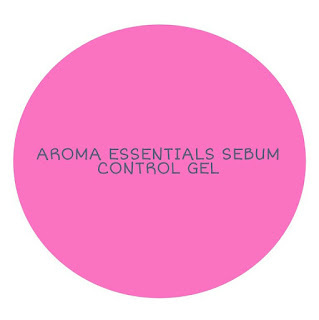 Recommendation - If you are a person who likes to use sebum control gels then this definitely is a product for you. Tell me your thoughts on my review.